Joseph Morris is a transdisciplinary artist based in Brooklyn. He is an expert craftsman and coder who believes in the possibilities enabled through the integration of technology in the arts. His emotive machines have been on exhibition in New York, Chicago, Brazil, New Haven, New Mexico and Arizona by galleries and organizations such as Chazan Family Gallery, Creative Arts Workshop, Gibney Dance Center, 4heads, ACRE Projects, Oi Futuro and more. Joseph Morris has been working with electronics in his art since 2006. He began by taking things apart and putting them back together to make sculptural collages with gears, motors, and moving parts. He started experimenting with software and coding in 2007, and has been integrating technology into his craft ever since. Joseph is a self-taught programmer, technologist, and prototyper through the online, open source community. He is a recipient of the 2017 New York Foundation for the Arts Fellowship in Electronic and Digital Media, as well as a 2017 New York State Council on the Arts Electronic Media grantee. In 2015, Joseph was a Harvestworks New Works Resident and recipient of Pratt Institute's Faculty Development Grant. He holds an MFA in Art and Technology Studies from The School of The Art Institute of Chicago and a BFA in Sculpture from SUNY Purchase College. 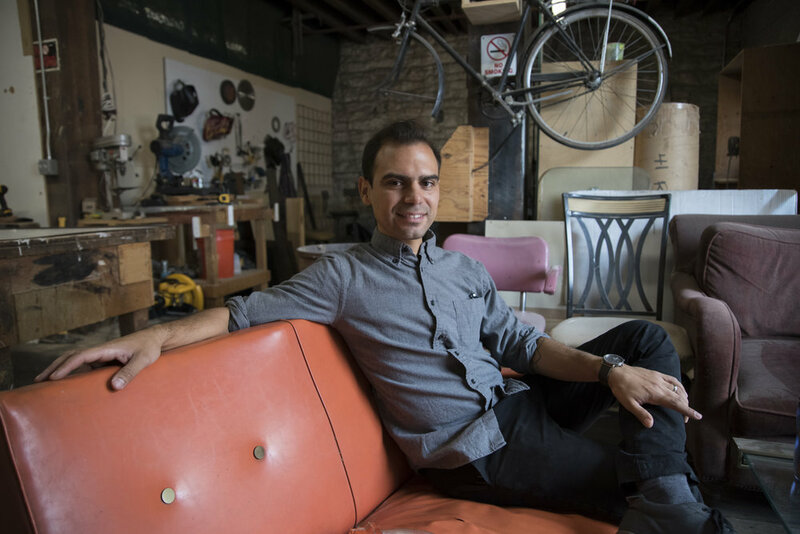 He is currently a visiting professor and rapid prototyping technician at Pratt Institute, Industrial Design, and teaches classes in physical computing, prototyping, and digital fabrication processes (laser cutting, 3D printing and CNC milling). Organized by the 4heads, Inc.